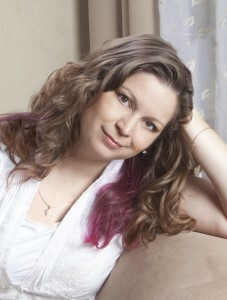 Deanna Roy is the six-time USA Today bestselling author of numerous works of romance, women’s, and children’s fiction. She also writes books as JJ Knight and Annie Winters. Her first novel was Baby Dust, a story about a pregnancy loss support group. Her romance series that begins with Forever Innocent, about a couple who reunites four years after the death of their premature baby, became a runaway success. It was followed with Forever Loved, Forever Sheltered, Forever Bound, and Forever Family. Subscribers can read excerpts of each new novel as it is written. Join! Deanna’s children’s books include her iPad/iPhone story book app, Dust Bunnies: Secret Agents, about the ninja dust bunnies who live under your bed. It was released by Polycot Labs in 2012. She is also finishing up her Magic Mayhem series, about kids who discover they have magical powers and must defend the balance between good and evil. Those three books are released through Spellbound River Press. She is a regular speaker at events on writing, publishing, and on baby loss. See her event schedule. Deanna is a passionate advocate for women who have lost babies. 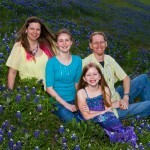 After her first miscarriage in 1998, Deanna began the web site www.pregnancyloss.info. You can also find her Facebook memorial page for babies lost to miscarriage or stillbirth. Many of her books touch on this topic. Her short stories have appeared in several literary magazines, including 34th Parallel, Farfelu, and The First Line. Her writing credits are lengthy due to her background in journalism and freelance, but one of her favorite articles is a humorous piece about skydiving, published by The Writer in March 2009. She’s been a waitress, a free-sample girl, backstage security for a concert venue (please don’t ask about the time she threw R.E.M. off the elevator and made them late to their own concert) , a high school teacher, an editor for a publishing company, and while she now focuses on her books, she still occasionally takes on a rare assignment as a professional photographer, which she did for fifteen years prior to her breakout novel. 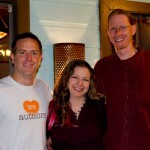 Deanna is a member of the Writers’ League of Texas, Romance Writers of America, and SCBWI. 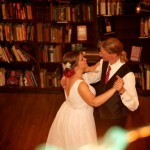 Deanna married Kurt in 2012. They recently adopted a little guy from foster care and life is very very busy. 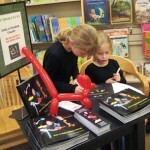 Deanna also has two daughters who wrote their own book in 2009, which became a kids’ craft bestseller.